I absolutely love this quote! 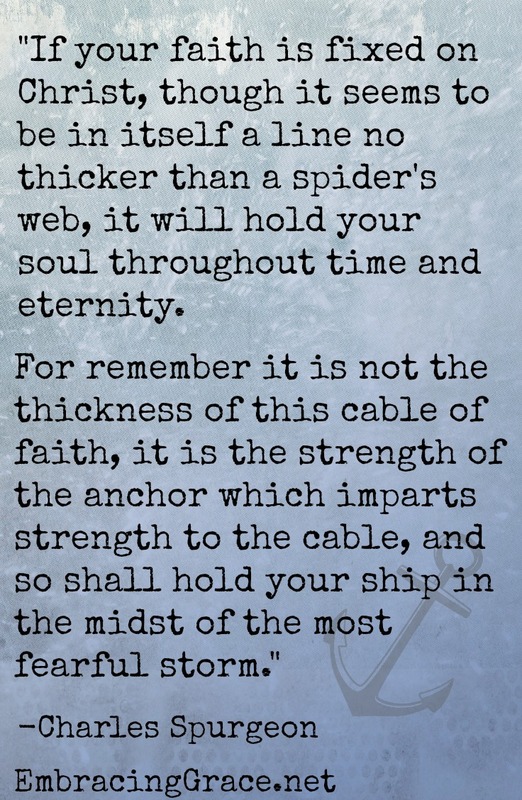 It’s from the book called The Spurgeon Series 1859 & 1860 written by Charles Spurgeon, Larry Pierce, & Marion Pierce. You can buy the Kindle edition on Amazon for $5.99. If you have questions about God or salvation, please feel free to leave a comment or contact me at MrsAshleyWalkup @ gmail.com. I would love to discuss this life changing truth with you! Thank you, Joann! I really appreciate your comment. Yes, feel free to share my blog posts with others.